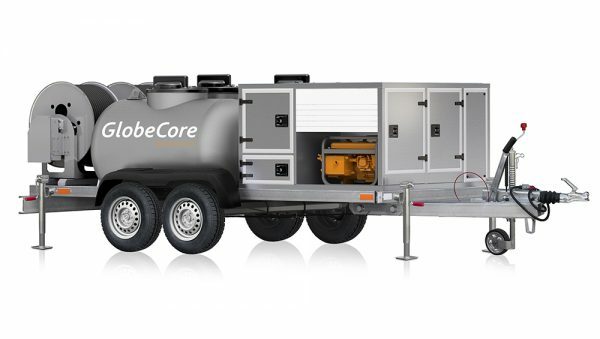 Turbine Oil Regeneration - GlobeCore. Oil Purification Systems. Turbine oil in use is susceptible to aging, which causes it to lose its performance characteristics and ultimately become unusable. Such oil must be replaced. However, dye to the high price of turbine oil and the amounts of the oil in power plants make such an endeavor impractical. The oil should be regenerated for continued use. Oil regeneration is a term that defines the restoration of the original physical and chemical properties of used oil. Collection and regeneration of used oil is one of the most efficient method of oil conservation. The existing methods of used oil regeneration are classified as physical, combined physical and chemical, and purely chemical methods. The physical methods involve processes which do not change the chemical properties of the regenerated oil. Settling, filtration and separation are the primary processes that can remove solid impurities and water from the oil. Combined physical and chemical methods do change the chemical composition of the oil to a certain degree. The most common example of such processes is adsorption and washing with hot condensate. Purely chemical methods include the treatment of oil with various chemical agents, such as sulfuric acid, alkali etc). These methods are used for oils which have been significantly changed chemically during operation. The selection of regeneration methods depends on the degree of oil degradation, its change and the quality requirements. When choosing a process, the cost efficiency should also be taken into consideration, with the simplest and cheapest methods preferred as much as possible. Some regeneration technologies allow processing of oil directly in operating equipment, while others require the oil to be completely drained from the oil system. The continuous regeneration processes are preferable from the operational viewpoint, since they can extend the service life of the oil without refills, and generally keep the quality parameters of the oil within tolerances. However, regeneration of oil on a running turbine can only be performed with compact equipment with small footprint and simple setup. Separators, filters and adsorbent units are good examples of such equipment. If more complex and larger equipment is required, it is installed in a separate area, and the process involves draining of oil. 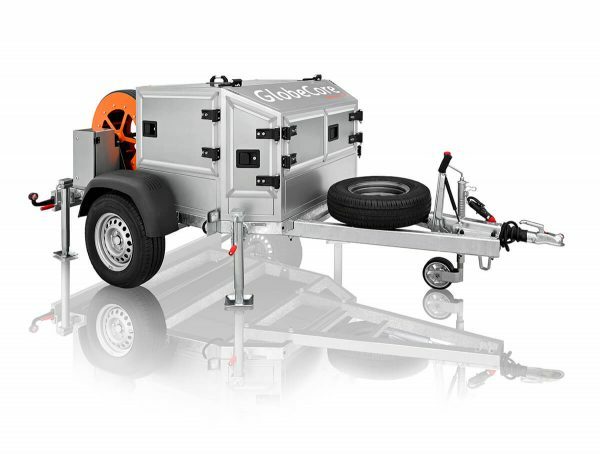 The most expensive equipment is not efficient when used with only one power plant, considering the frequency of its use, so such machines are often mobile. For especially large plants with significant volumes of oil in use, stationary regeneration systems of any design are viable. Let us consider the main processes of turbine oil purification and regeneration. The simplest and the least expensive process of separating water, sludge and solid impurities from the oil is settling in special tanks with conical bottoms. Gravity causes the impurities with specific weight different from the oil to separate. The lighter oil rises to the top of the tank, while water and solids fall to the bottom, where they can be removed through a special valve at the lowest point of the tank. The oil tank also serves as a settling vessel. Oil tanks also have conical or inclines bottoms to collect water and sludge for disposal. However, oil tanks have no means of breaking water and oil emulsions. The oil in the tank is in constant motion, mixing the top and bottom layers. The air in the oil smoothes the difference between the components of the oil and water mixture and makes separation problematic. Besides, the time the oil spends on the oil tank rarely exceeds 8 to 10 minutes, clearly not enough for settling. The settling tank offers better conditions, since the settling time is unlimited. The limitation of the this method is its slowness, required by the long settling time. Such settling tanks take a lot of floor space and increase fire hazard. 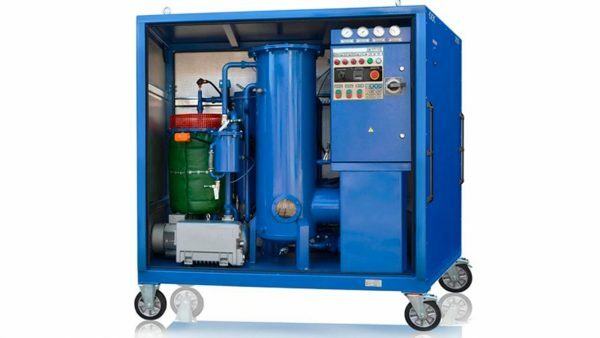 A more efficient method of removing water and other impurities from the oil is separation, which involves the separation of particulate matter and water by centrifugal forces in the rapidly rotating drum of a separator. Depending on the nature of the contaminants, separation can be classified as clarification or purification. Clarification is used for separation of solid particles, sludge and small amounts of water in the oil, which do not require extensive removal. In this case, the impurities separated from the oil remain in the drum until removed periodically. Purification is used when the oil has a high water content, in which case the two liquids with different specific weight are removed from the separator continuously. Turbine oil with solid impurities and small amounts of water (up to 0.3%) is clarified. Higher water content requires purification. Switching from one mode to the other requires adjustment of the drum and the output piping. The capacity of a drum set for clarification is 20-30% higher than that of a drum set for purification. To improve capacity, the oil is heated to 60÷65°С in an electrical heater before the process. 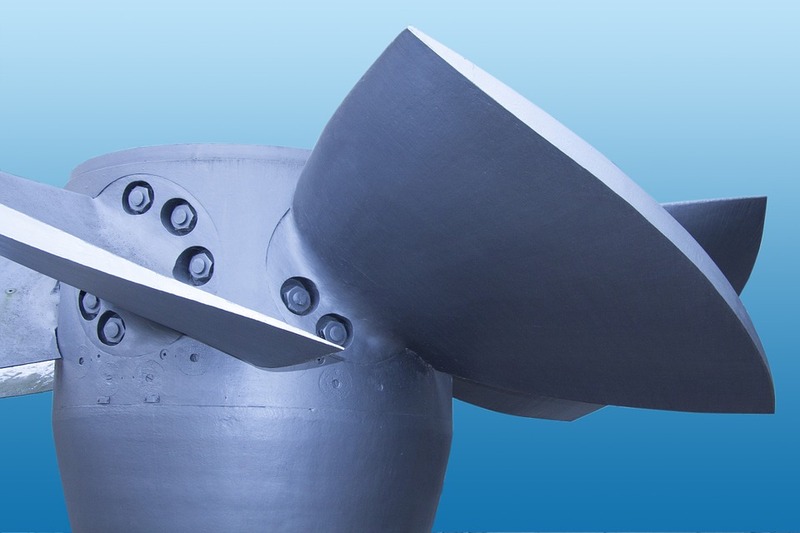 Separators allow the oil to be processed on running turbines. This is usually required if the water content in the oil is significant. In this case, the suction line of the separator is connected to the lowest point of the dirty oil section of the oil tank and the processed oil goes into the clean oil section. When two separators are available, they can be used consecutively, with the first separator performing purification, and the second running in clarification mode. This significantly improves the quality of the process. Filtration is the separation of impurities insoluble in oil by passing or pushing the oil through a porous filter medium. Some of the common filter materials are paper, cardboard, felt, canvas etc. Turbine oil is commonly filtered in filter presses. A filter press has a rotary or cyclone oil pump, which supplies the oil to the filter at the pressure of 0,294÷0,49 MPa (3÷5 kg/cm2); the filter media is pressed between two frames. Contaminated filter material is regularly replaced with new material. Filtration of oil in the filter press is usually combined with separator processing. Filtering oil with high water content is not recommended, since the filtering material is quickly contaminated, while paper and cardboard soon lose their strength. It is better to first pass the oil through a separator. The process can be performed with the turbine running. If two consecutive separators are used, the filter can be installed after the clarification separator. This would allow especially high quality of oil treatment. This method is based on the phenomenon of capturing solved impurities by solid porous materials (adsorbents). Adsorption allows to remove organic and low molecular acids, gums and other solve impurities. Various materials are used as adsorbents: silica gel (SiO2), aluminum oxide and various bleaching clays, which usually contain SiО2 and Аl2О3 (bauxites, diatomites, clays and slates). Adsorbents have a highly developed system of capillaries and extremely high surface area per one gram of the material. Mean surface area of activated charcoal is 1000 m2/g, silica gel and aluminum oxide: 300÷400 m2/g, bleaching clay: 100÷300 m2/g. Beside the total surface area, adsorption depends on pore size and the size of the molecules of the impurities. The diameter of the pores is in the order of several tens of angstrom. This size is comparable to the size of the captured molecules, so some high molecular compounds will not be captured by especially microporous adsorbents. Activated charcoal cannot be used for oil purification due to small pore size. Turbine oil can be processed with adsorbents, whose pore size is 20÷60 angstrom, removing high molecular compounds, such as gums and organic acids. The commonly used silica gel works well for gums, but it somewhat less efficient with organic acids. Aluminum oxide, on the other hand, works best for organic, especially low molecular acids, and is less efficient with gums. These two adsorbent are synthetic and rather expensive, especially aluminum oxide. Natural adsorbents, such as clays, bauxite or diatomite are less expensive, although their efficiency is also lower. There are two methods of adsorption treatment: percolation and contact. In the case of the contact method, the oil is mixed with fine adsorbent powder. Oil must be heated before the process. The powder is then filtered out of the oil in a filter press. However, the adsorbent in the process is not recoverable. The percolation process involves passing oil at 60÷80°С through a layer of absorbent granules in special columns. In this case, the adsorbent comes in the form of 0.5 mm or larger granules. In this case, unlike the contact method, the adsorbent can be be recovered and reused, reducing process cost and and allowing to employ more expensive adsorbent media. The degree of sorbent application and oil quality is usually better with the percolation method. Besides, the oil does not need to be drained from the oil tank on the running equipment. The adsorbent can capture not only the aging products, but also water. Therefore, it is best to remove water and sludge from the oil before adsorption. Without this step, the adsorbent will quickly lose its capacity and the process will not be efficient. Adsorption should follow the separators and filter presses. If the plant has two separators, one should be set to clarification mode. The used adsorbent can be easily reactivated by purging it with hot air (200°С). Adsorption should not be used for oil with additives, since all additives (excluding ionol) are removed by the adsorbents. This type of processing is used when the acidity of oil is increasing and it contains low molecular water soluble acids. Washing the oil also improves other parameters, such as demulsification ability, the amount of sludge and solid impurities. For better acid dissolution, the oil and the condensate should be heated to 70÷80°С. The amount of condensate necessary for the wash is 50÷100% of the oil amount. The necessary conditions of successful wash is good mixing of the oil with the condensate to ensure the maximum possible contact area. Separators can be used for this purpose, where oil and water are in finely dispersed state and are well mixed. The low molecular acids pass from the oil to the water, and are removed from the separator. Sludge and impurities in the oil accumulate water, increasing their specific gravity and making them easier to separate. Condensate wash can be performed in a separate container, where oil and water are circulated by steam or by a special pump. Such wash is possible while the turbine is under repairs. The oil is taken from the oil tank and is pumped into a reserve tank after the wash. This method is used when the oil is thoroughly degraded, when all other methods are not sufficient. Alkali neutralizes the organic acids on the oil, including the remaining sulfuric acid (from acid treatment), the removal of esters and other compounds which form salts for further removal in consequent oil processing. The most common alkali for this process is 2,5÷4% of sodium hydroxide or 5÷14% trisodium phosphate. Alkaline processing can be performed in a separator similar to the condensate wahs process. The temperature of the process is 40÷90°С. To reduce alkali consumption and to improve process quality, the oil should first be dehydrated in a separator. Subsequent washing of the oil after alkaline purification involves hot condensate wash and adsorbent treatment. Since chemical agent treatment requires preliminary and subsequent oil treatment, combined oil processing units have been developed. These include all stages in one process. Such machines are quite complex and can be built either in mobile oil stationery design. Additives is the most modern and efficient way of keeping the oil in good condition for long term use. Additives are chemical active substances added into the oil in small amounts to keep its primary specifications within tolerances for extended periods of time. Additives for turbine oil must meet several requirements. They must be inexpensive enough, used in small amounts, well solved in oil at process temperatures, not form sludge and suspended particles, not being washed out by water or removed by adsorbents. Additive effects should be the same for oils of different origins and age. Besides, by stabilizing certain parameters, the additives must not reduce other parameters of the oil. A wide range of additives have been developed for petroleum based oil, of which the most important are anti-oxidation, anti-corrosion and demulsification additives. The most important additive is the antioxidant, which stabilizes the oil’s acidity. This parameter is what makes the oil age the fastest. Anti-corrosion additives protect metal from the acids in the new oil, as well as aging products. The effect is due to the formation of a protective film on the metal surface, protecting it from the corrosive materials. Demulsification additives are used for breaking of oil emulsions. Emulsifiers are water soluble of neutralized acidic bottoms or emulsions of highly pure mineral oil with water solution of sodium salts of naphthenic and sulfo naphthenic acids.